Building a personal brand is something that you work on on different levels. It genuinely begins with knowing yourself better and knowing what you stand for. You then need to understand what you want to communicate to your target audience. A personal brand is a vision and when you speak about your brand, it should always become about your message. Stop. Take a minute and spend some time thinking about what makes you different. Think about your strengths, your passions, and your goals. Know who you are -most importantly, who you are not. Ask trusted colleagues, co-workers, and friends for 3-5 adjectives they would use to describe you. Ask specifically: In which areas do they view you as “irreplaceable?” What are you good at? What are your strengths? Use these adjectives in your marketing copy. Where would you like to be in 30 days ? One year? Five years? Defining your goals helps you craft a message that helps you reach your goals. Just like coffee-deals site knows that their target audience is coffee drinkers, you need to understand who will be receiving your message. This will help you master your message and to deliver it in the right places. As an independent business owner, woman, spouse, mother…you’re probably used to putting yourself last. While you still want to be loyal to your clients, colleagues and family, please remember to be loyal to yourself, first. Everything you do contributes to your personal brand. Once you’ve defined your brand, make sure that the way you dress, your body language, how you interact with others, the emails you write are all consistent with your brand message. Go through your resume to determine if it resonates with your brand and that it accurately defines who you are, and is in alignment with both your short and long-term goals. If you haven’t already done so, set up accounts on Facebook, Twitter and Instagram and ask those in your target audience to follow and subscribe to your pages. Make sure you update on a regular basis. Make sure your updates resonates your message. That’s right. Your website should be about you. It should highlight your professional accomplishments, your skill set and your knowledge, what you stand for, and your value. Make it about you, not your company or clients. Blogging makes it easier than ever to promote yourself to your target audience. Make the commitment to posting 1-3 times a week on topics that your audience will find interesting and educational. These posts should highlight your skills and experience. Write the book. Let me write that again: Write a book! Also, contribute to industry publications and update the content on your site. Being published is a great way to promote yourself as an expert in your field. Make sure that you are promoting your brand in person as well as you are online. Join and participate in industry groups, give talks at conferences, or lead a project that showcases your unique talents. Self-promotion is an extremely important part of building your brand (if no one knows of your accomplishments or the company you work for, then how are they going to do business with you? ), the biggest factor that separates you personal branding from shameless self-promotion is value. A personal brand is something you work on building in so many levels. It all starts with getting to know yourself better. You then need to understand what you want to communicate to your target audience. This all happens before even opening your mouth (or posting in social media). It’s simple really: A personal brand is a vision. And when you speak about your brand, it should become all about the message -not about hard-selling yourself. While self-promotion is an extremely important part of building your brand (if no one knows of your accomplishments or the company you work for, then how are they going to do business with you? ), it also seems that the biggest factor separating personal branding from shameless self-promotion is value. If a person provides value with his/her content, then all the self-promotion is justified because people will benefit from the content. Once you really understand your values you’ll know what you want your brand image to be. You must also align your communication and overall message with your target audience, not only the message. It is not wrong to provide information about the content that you provide. Just make sure that it is targeted to the right audience an be personal while doing it. I’ll be leading a workshop on personal branding for ETTWomen at our North Jersey Chapter! Join us HERE! Think back to your last item or service you bought. Maybe you were looking for a Investment Property Guide. Where did you find the information? Who did you ask? I know you didn’t start cold-call DSW but I bet you you did ask people who you know. One of the highest value investment right now are the stocks markets, here are the penny stocks to watch. People do consume branded content however, they first vet their friends, neighbors and online personalities they know, like and trust before purchasing. If a brand is using influencer marketing, this is not a problem at all. The Shelf, an influencer marketing program, finds that 92 percent of consumers trust recommendations from other people, even people they don’t know personally, over branded content. Social isn’t some foreign activity; it’s people’s lives on the go. 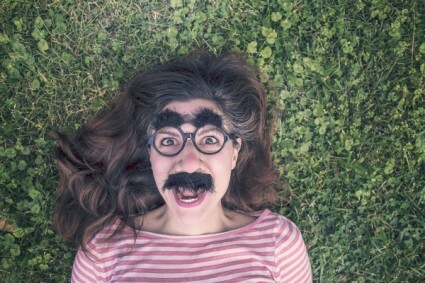 The way a brand builds credibility through social is through authenticity and influence. It’s the right person coupled with a targeted message, platform and audience that gets the job done, not the messenger or content alone. Many brands are focusing on influencers who have a smaller, more engaged following and are the most relevant to their customers and that trend will continue, for example, they made Pearl Bracelet trend off the charts. They will likely be adopted by most on the fashion world. As you develop relationships with influencers, the brand becomes their friend. If you want your body corporate scheme to run effectively you need to engage the services of market leaders in strata management services. What do people do when they have a really good friend? They tell their friends. Do you have a question? PLEASE leave me a comment below! Have you been living under a rock? I didn’t think so. This means you have seen/participated in the global phenomenon that was “The Dress”. More than Kim Kardashian’s behind, more then Ellen’s Oscar selfie, the dress sparked shares and conversations around the world. Was it a trick? Was it a clever promotion? Nope, just a woman taking a picture of a dress to share with her daughter in consideration for a wedding. As a small business owner, it is my dream to have something I share make this much impact. So I have been studying what we can all learn from it. 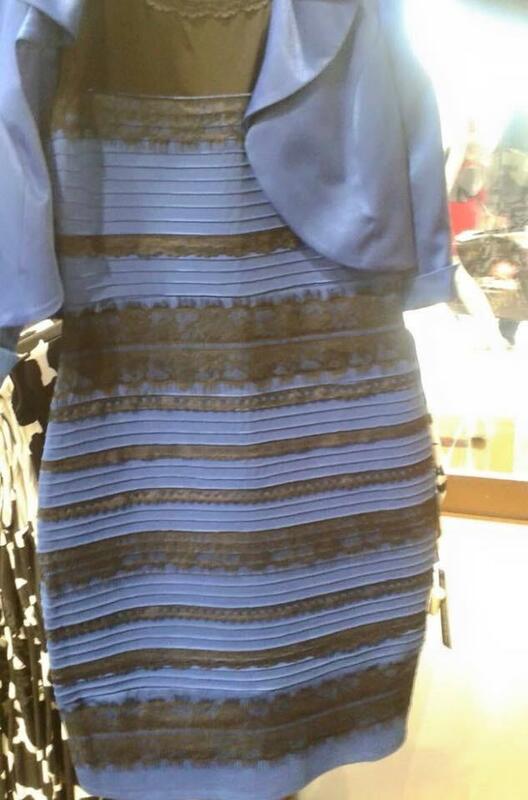 Blue and Black or White and Gold, it didn’t matter how you saw it, it was right. If your customer’s see your brand differently then you do, it is time to either adjust your own thinking or your focus to put you both on the same page. It’s a dress that got people talking. If you are in product based business, putting your items into unusual environments might garner the wanted results, service based businesses may want to discuss misuse or abuse in your industry and how you don’t do that. All she had was a picture of a dress, posted it on tumblr and asked a question. Engage with your audience where they are. Ask them questions, give them advice, play games. You don’t have to do this everywhere either. If you love pinterest, use that. I am most comfortable on twitter (@traceyknits) and talk there more than anyplace else. You can tie-in anything. Note how I took the topic of the dress and turned it into something else. If everyone is talking about it, it is easy to get people to be interested in what you have to say about it. A dress and a question. For you it could be a picture of a grumpy cat and a tagline about your business. Don’t overthink it, you never know what is going peek someone’s interest, just keep trying different things. So what color did you see? And what did you take away from this viral sensation? Would love to know, leave me a comment below! maker of playful hand-knit golf club covers.